The Edinburgh serviced offices are placed in a fine Georgian building offering fully serviced offices on monthly licences. The elegant, well proportioned offices are spread over four floors and provide serviced office suites for one to fourteen people. An elegant board room is also available on site, suitable for seating 10 - 12 delegates. 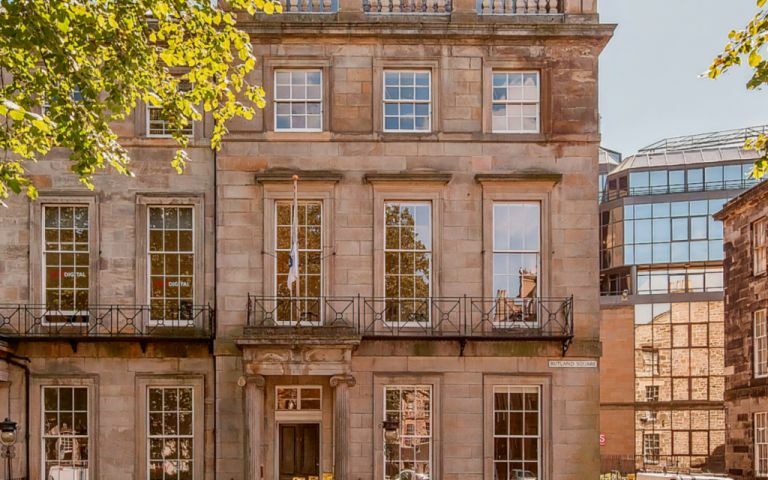 The Edinburgh serviced offices are conveniently located in the charming Rutland Square close to Princes Street and within easy reach of Haymarket and Waverley stations as well as the Exchange district, Edinburgh's financial centre and Edinburgh International Conference Centre.